The Bible says, "As a man thinketh in his heart, so is he." 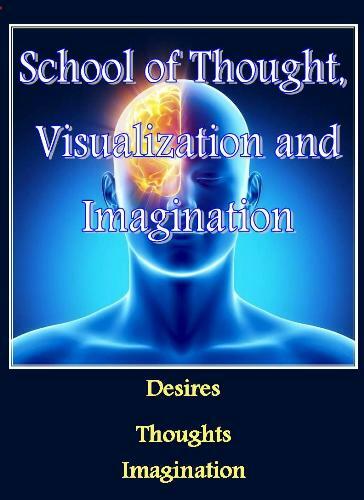 Thought and visualization has always played a big part in the word of God. It is made very plain to"cast down vain imagination." Do thoughts really become things in our lives? Do mental techniques that uses the imagination really make dreams and goals come true? Are the positive and negative things drawn into our lives simply because of how and what we think? Used in the right way, creative visualization can improve your life and attract to you success and prosperity. It is a power that can alter your environment and circumstances, cause events to happen, and attract money, possessions, work, people and love into your life so you can truly live the Zoe kind of life. Zoe means 'the God kind of life.' This is the life we were meant to live. Jesus came to "give us life and give it to us more abundantly." Why is it so important for us to have the mind of Christ? Visualizing what God has desired for you to have before the foundation of the world will bring into your life a 'lining up of your mind to His mind and will of how He sees you in the NOW. Our minds tend to live in the past and future. Train your life to live in His NOW moment and manifest what you desire from His desire in your life. It is a process that is similar to daydreaming. This is the natural process of the power of thoughts and natural mental laws. We were given a mind to receive thoughts so we could pull into our lives positive and negative things, good or evil and peace or turmoil. Visualization is by far not a New Age or Metaphysical concept. God speaks of thinking, believing and speaking all through the word of God. In this course, Jeremy brings out from several stories in the Bible how visuals, words and thoughts changed the entire world, cultures and people forever. This is a REVELATIONAL COURSE PREPARED ONLY FOR THOSE WHO HAVE AN EAR TO HEAR AND AN EYE TO SEE. There are people who use this course in their everyday affairs, not being aware that they are using a course that will give them the "power training" they need to put them over the top in life and thought. All successful people use it consciously or unconsciously, attracting the success they want into their life, by visualizing their goals as already accomplished. The subconscious mind accepts the thoughts that you often repeat. When it accepts them, it changes your mindset accordingly, as well as your habits and actions. This brings you into contact with new people, situations and circumstances. Thoughts are endowed with a creative power that molds your life, and attracts what you think about.